With amusement parks, museums and nature centers, there are enough family activities in Connecticut to keep everybody entertained during the last month of summer. Here are a few Indoor and outdoor options that are guaranteed fun for the whole family. 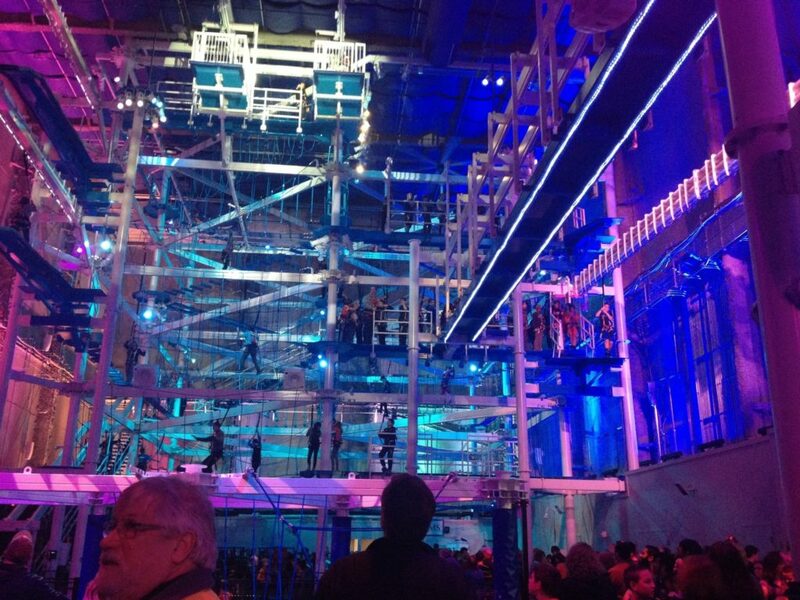 Experience the world’s largest indoor ropes course inside Jordan’s Furniture. 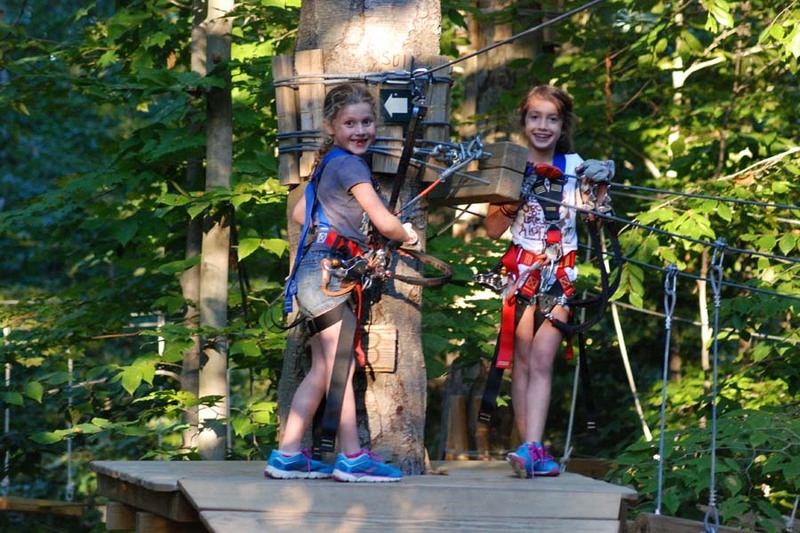 Channel your inner tightrope walker as you take on the 56-foot tall ropes courses and climb through cargo nets, angled rope ladders and more. Connecting the two rope courses are four of the longest Sky Rail zip lines ever made. Prepare to be wowed as you Zip It 180-feet over the Waltzing Water Show and restaurants down below. For those that like an extra daring challenge, participants can choose to exit the course with a free-fall sensation off the Jump It platform at the very top of the building. Other activities include 5 Climb It vertical climbing attractions, and for the youngsters, there is the Little It ropes course for kids under 4-feet tall. This attraction is for the entire family, no experience required. While you’re taking it all in be prepared to be blown away by the 1,000-nozzle Liquid Fireworks water fountain that goes to the beat of 41,000 watts of stereo sound and lighting. Your adventure awaits. Without question, Stepping Stones is the crown jewel of museum offerings for children in Fairfield County, with its laser focus on making learning fun, and downright invisible, for kids. On top of that, Stepping Stones is a high-quality facility that feels fun and fresh to be inside of. Years in the making with invaluable input from children, parents, educators, experts, engineers and designers — the exhibits are unlike anything…anywhere. From the challenging concepts found in our landmark Energy Lab to the small wonders of Tot Town and beyond, children will embark on new and unexpected adventures they won’t experience anyplace else. Pricing: General admission $15, Children $15, Seniors (over 62) $10, FREE for children under 1, members and active duty military personnel and their families within the same household.Other Amenities: ADA Compliant, Parking, Gift Shop, Indoor Activity, Meeting/Event Facilities, Restaurant on Site. At the Connecticut Science Center, you can explore more than 165 hands-on, minds-on activities and exhibits in 10 galleries, a state-of-the-art 3D digital theater, four educational labs, plus daily programs and events, gift shop and cafe. 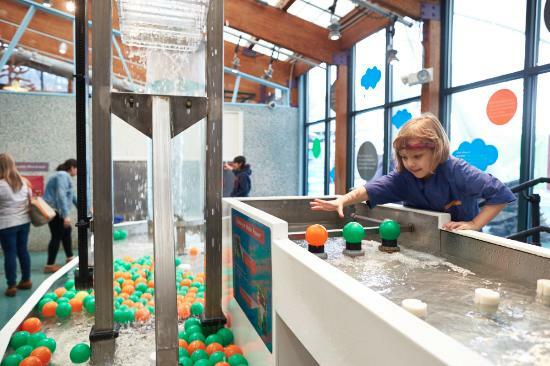 With more than 165 interactive exhibits, the Connecticut Science Center has the formula for all-ages hands-on fun. 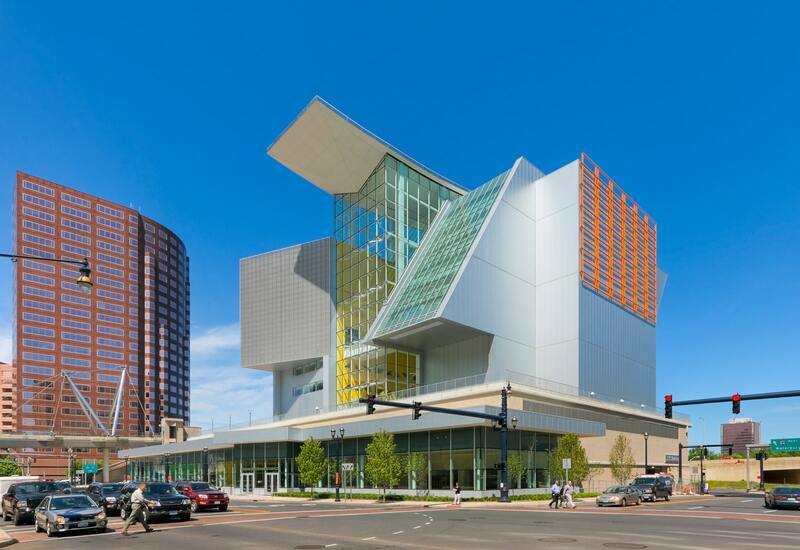 Explore the solar system, dig for dinosaur bones, see yourself in 360 degrees, build a race cart, get up-close and personal with native Connecticut creatures in the marine touch tank or watch science come alive in the state-of-the-art 3D movie theater. Let the young scientist in the family conduct experiments in the Vacation Exploration Camps, host an intergalactic birthday party or bring friends for a night of dancing at one of the Liquid Lounge events (21+ only). Purchase unique toys, books and gifts in the Gift Shop. Visit again and again to see the newest traveling exhibits. Every experience at the center sparks creative imagination and an appreciation for science through hands-on exploration. An “aerial forest rope park,” featuring zip lines and challenge bridges between platforms. Different challenge levels, from beginner to advanced. Fun in the trees for individuals and groups. Family and friends not climbing are admitted free and can enjoy the paths, picnic tables and benches. Reservations not needed for individuals or small groups. The park provides challenging, rewarding outdoor activity for different ability levels, so no one is left out. Perfect for youth groups, summer camp day trips, school field trips, Scouting, family reunions, corporate events and more. Safety goes hand-in-hand with fun. Climbers all wear safety harnesses using a unique system that keeps them double-clipped onto a cable throughout for security.The courses do not require previous climbing experience and are designed for each climber’s self-discovery. Amenities: Dining nearby, parking, self-guided tours, special packages Pricing: Three-hour climb ticket: Age 12+, $53; age 10-11, $48; age 7-9, $39. Discounts for reserved groups of 10 or more. The state’s only zoo features primarily North and South American animals, including several endangered species, a tropical rainforest with free-flight aviary, the New England Farmyard, a carousel, and a café. 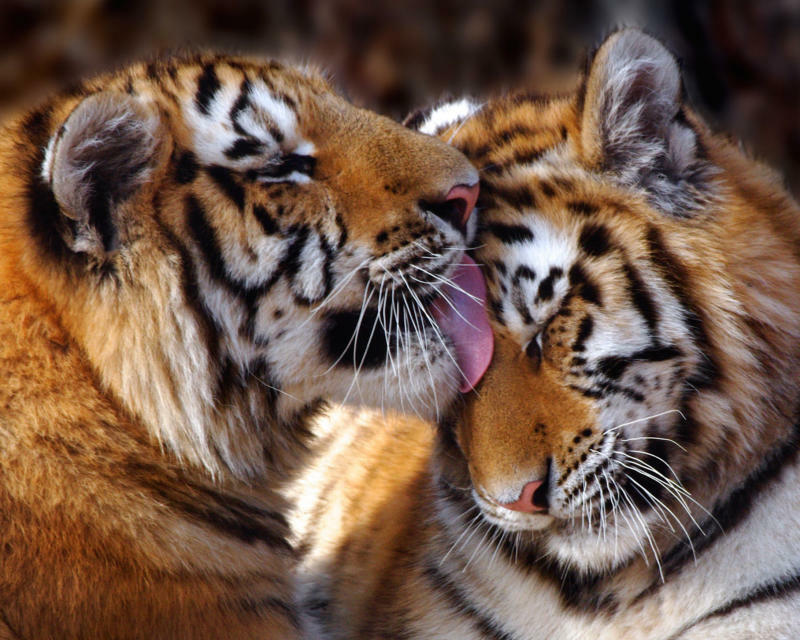 Spend an hour or the whole day and see more than 300 animals. 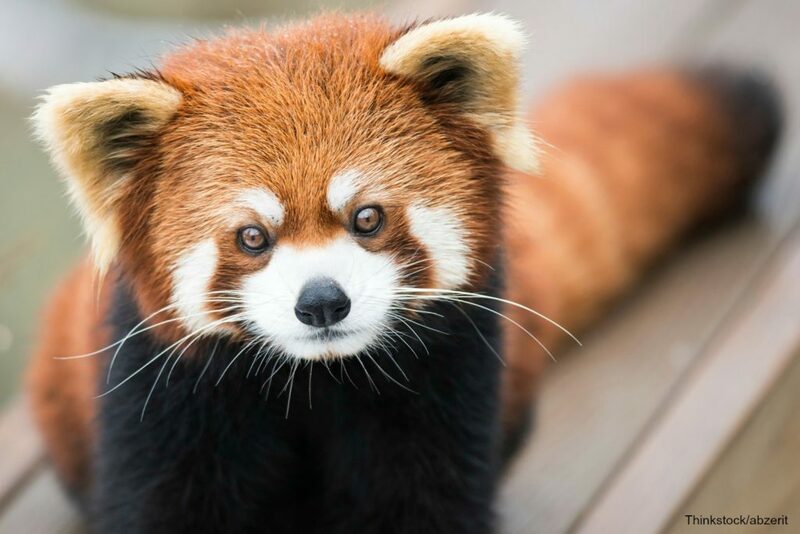 Learn about the many endangered and threatened species, which includes the Amur (Siberian) tiger, Andean condor, Ocelot, Red wolf, Maned wolf and Golden lion tamarin. See the South American rainforest with free-flight aviary, then walk through the prairie dog exhibit with “pop-up” viewing areas. Visit the New England Farmyard with goats, cows, pigs, sheep and other barnyard critters. Take a walk along the hoofstock trail, featuring bison, pronghorn, deer and more. Before you leave, grab a bite at the Peacock Cafe, eat in the Picnic Grove and take a ride on the colorful carousel. Amenities: Concessions, dining nearby, gift shop, parking, restaurant, special packages Pricing: General admission $14, seniors (62+) and children (3-11) $10, children under 3 free. Members free. 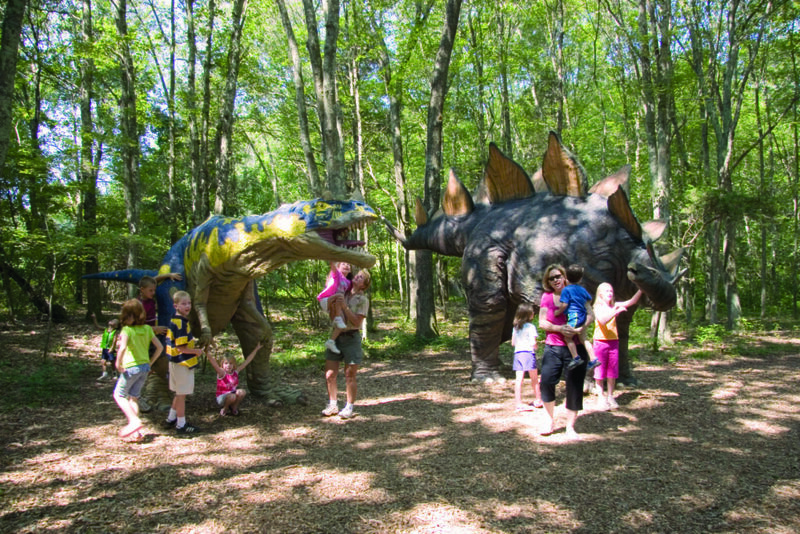 Although it’s been more than 66 million years since dinosaurs roamed the earth, The Dinosaur Place™ at Nature’s Art Village is home to over 40 life-sized dinosaurs situated in a pristine 60 acre outdoor adventure park. Stroll through over a mile of dinosaur-filled nature trails wrapping around the scenic Raptor Bay Lake. Access the nature trails by walking under the belly of a life-sized brachiosaurus, an immense creature that measures 75 feet long and 40 feet tall! Enjoy the state-of-the-art playground with five unique jungle gyms including the one-of-a-kind SpaceNet, designed exclusively for The Dinosaur Place™. During the summer, bring along your bathing suit and flip flops and prepare to get soaked in New England’s largest SplashPad®, a zero-depth water park where dinosaur-themed water features delight children and adults of all ages. Just added in 2015, you’ll have to experience the Vortex SuperWheel, an impressive giant spinning wheel which pours thousands of gallons of water down on everyone below!